Vogue Magazine recently named Georgia—the country, not the state—one of the hottest destinations to visit in 2017. 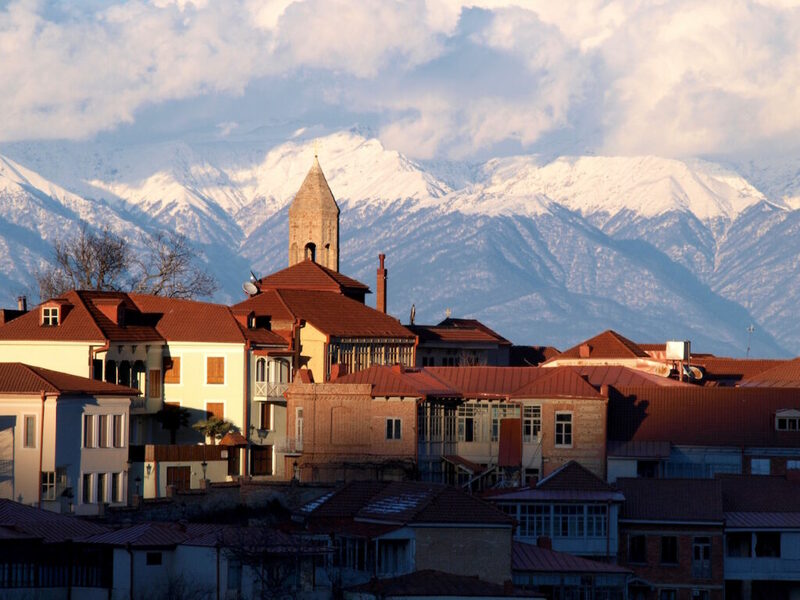 Situated between the Black Sea and the Caucasus Mountains, Georgia is an ancient country with hip new appeal. Formerly part of Soviet Russia, it became an independent state in 1991. Today, it’s bursting with bistros and cafes, art galleries and boutique hotels, and a stylish new spirit amidst its historic landmarks. Winter sports like skiing and snowboarding, plus summer ones like hiking, climbing, and watersports make it a desirable year-round playground. While Georgia may be a new destination for fashionistas, wine industry cognoscenti have been making pilgrimages to this country for the wines. 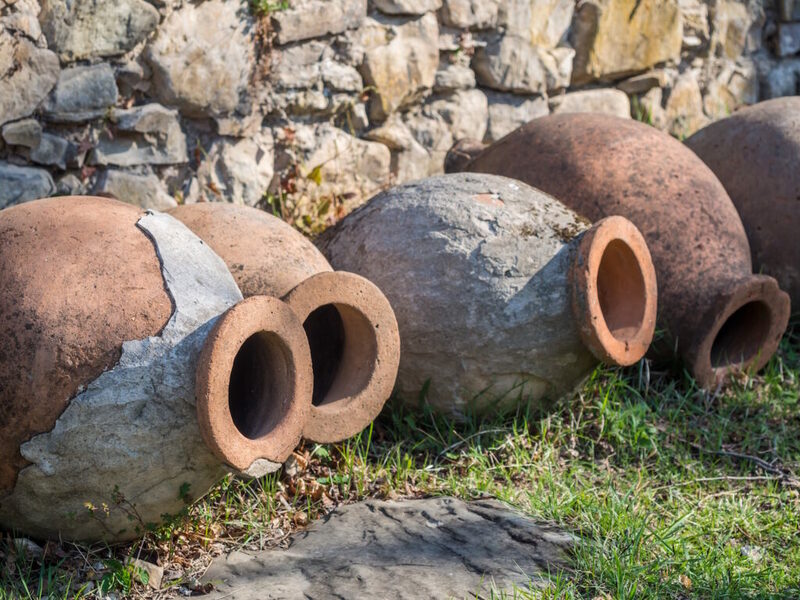 With a history of winemaking dating back 8000 years, Georgia is often referred to as the “cradle of wine.” In fact, Georgia has been named a UNESCO World Heritage landmark for its winemaking history, a major achievement in the world of wine! 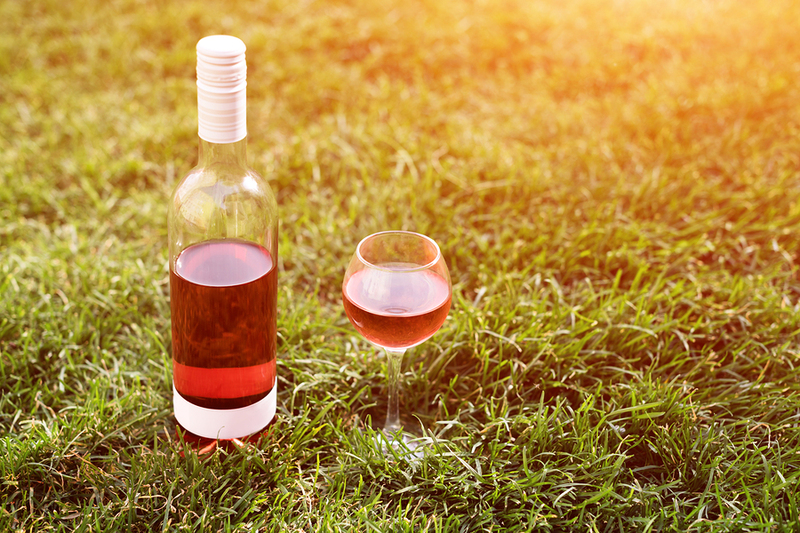 Many of the indigenous grapes may be hard to pronounce for English-speakers, but the wines are easy to drink, albeit some may require getting used to. 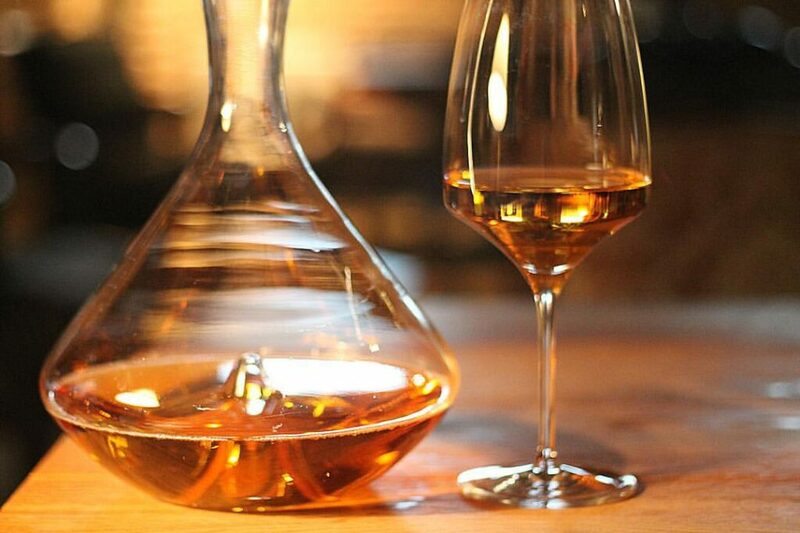 They have an earthiness to them that grows on you with each sip. I liken the wines to being “hippy sippy” chic versus oh-so-slick and polished. 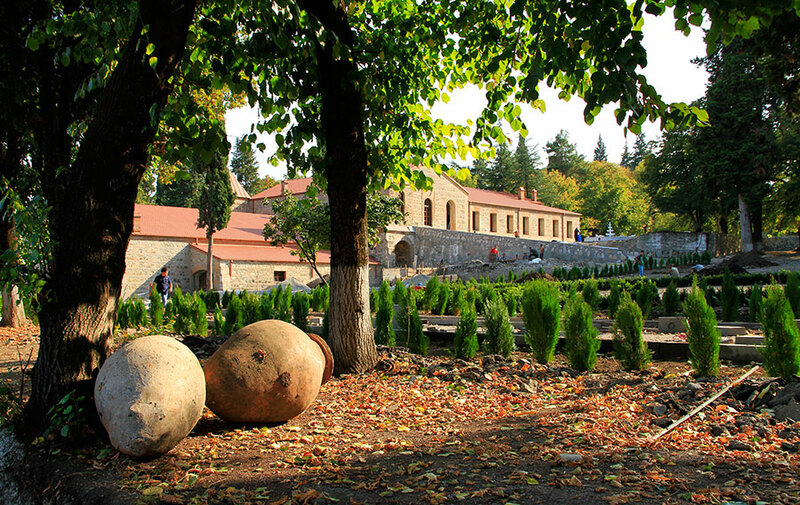 It’s fairly common for Georgian families to make their own wine in small garagiste-style vineyards, most often for consuming at supras, festive all day/night gatherings where copious amounts of food and wine are consumed. If you ever visit Georgia, wrangling a visit to a supra is an experience not to be missed. If you have the chance to taste Georgian wines in the USA (ask your local retailer), you’ll find many affordably priced between $16 and $30, some even less. 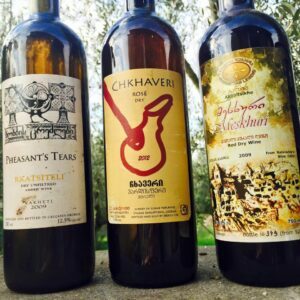 Ones to look out for are Orgo’s Saperavi and Rkatsiteli (Georgian Wine House); Pheasant’s Tears’ Rkatsiteli and their Saperavi (Terrell Wines); Teliani Valley’s Tsinandali (Georgian Wine House); and Shumi’s Saperavi and Tsinandali (Blue Danube Wine). Speaking of affordability: If you have the opportunity to travel to Georgia, you’re in luck even more: Forbes named Georgia one of the cheapest destinations to visit in 2017. For more information on Georgian wines, visit the Georgian Wine Agency or pick up a copy of For the Love of Wine: My Odyssey Through the World’s Most Ancient Wine Culture by Alice Feiring.